How to permanently shred files and data? Don’t worry. 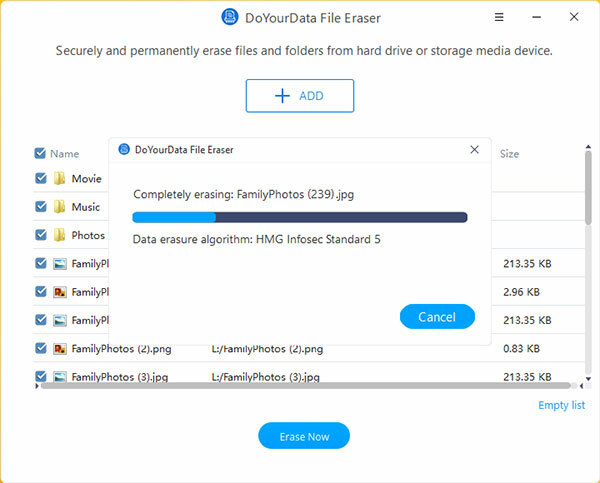 DoYourData File Eraser offers secure and reliable file erasure solution for you to permanently erase files and folders from computer hard drive, external hard drive, USB flash drive, memory card, digital camera, etc. No chance for data recovery. 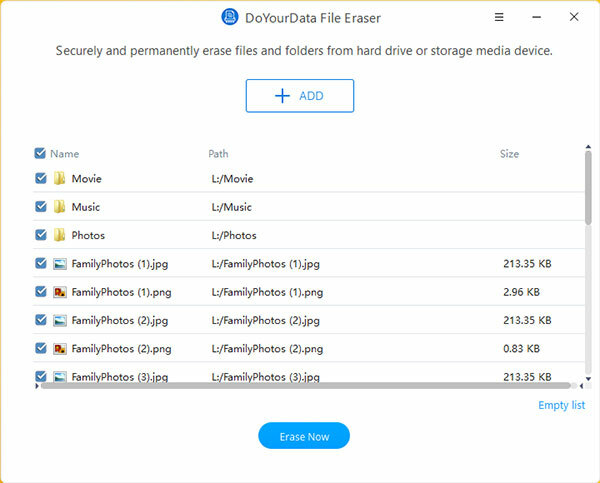 Deletion or format can’t permanently erase your files. With data recovery software, anyone can recover your deleted or formatted files. 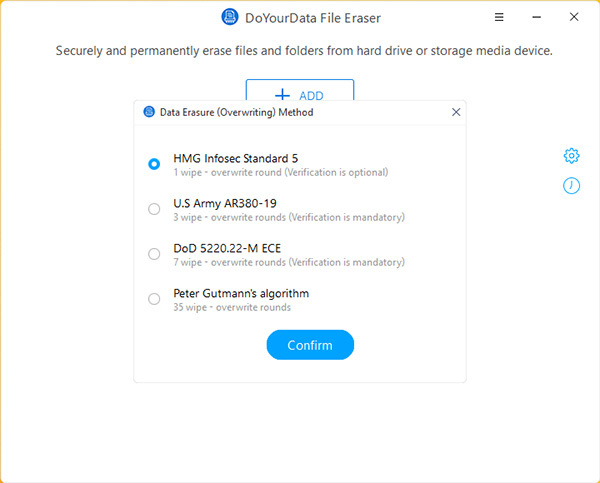 DoYourData File Erase offers government & military level data erasure algorithms including HMG Infosec Standard 5, Baseline; DOD 5220.22-M; U.S. Army AR380-19; Peter Gutmann’s algorithm to securely and permanently erase targeted files/folders on PC or storage media device. It is very easy to use. 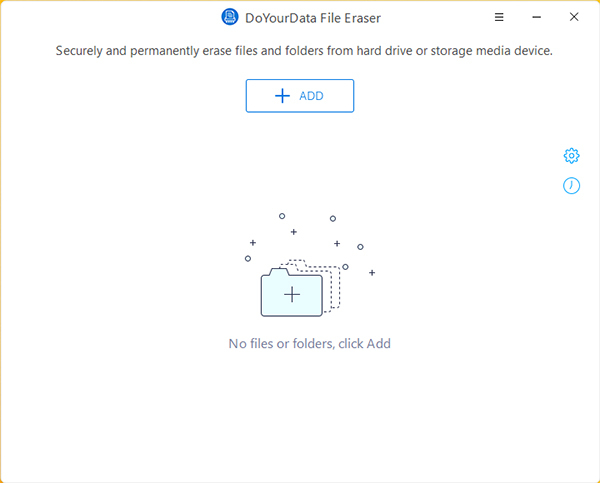 You just need to add the files and folders, then click on Erase button to permanently erase the selected files and folders. The erased files/folders will be lost forever, can’t be recovered by any data recovery method. 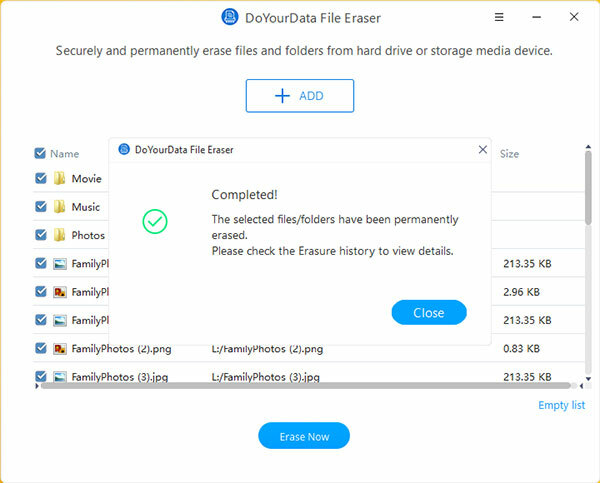 Before you sell, donate, give away or lend your computer/device to other people, you can use this software to securely erase sensitive data information. 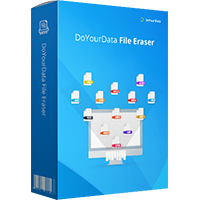 Thanks to Bryan from DoYourData Software we are able to giveaway DoYourData File Eraser 2.0 free to all our Promo2day readers. Just download the program from the link above and activate with the given license code.